Nick Kesidis, affectionately known as “Nick Kay”, is an award winning magician who performed SOLD OUT shows at Melbourne Magic Festival & International Comedy Festival. Nick is a unique blend of street performer and entertainer using only what he can carry on him. Armed with a pack of cards, a handful of coins, and his quick wit he has the ability to entertain anyone anywhere. 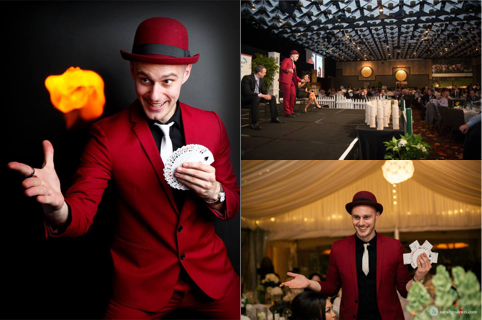 Whether performing at stage shows, trade shows, corporate functions, weddings, parties or even table side entertainment at your establishment, Nick can entertain and create unforgettable moments that you & your guests will talk about for years to come. Follow Nick Kay on Facebook for updates on upcoming performances, photos and videos.